Opaque, sealable, sanitary disposal bags for tampons and pads. Biodegradable. The best disposal method. Made from 35% organic material. 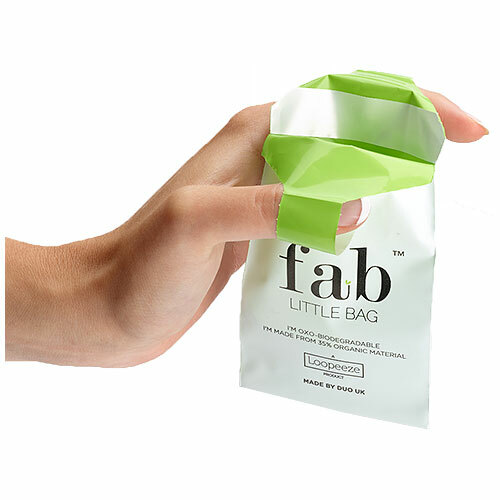 The handbag pack has a reusable case with 5 sanitary bags included, you can then refill once these have been used, so you will never be without a fab little bag on the go. 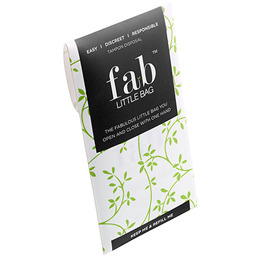 Below are reviews of Fab Little Bag Tampon Disposal Bag Handbag Pack - 5 Pack by bodykind customers. If you have tried this product we'd love to hear what you think so please leave a review. Opaque, sealable, sanitary disposal bags for tampons and pads. Biodegradable. The best disposal method. Made from 35% organic material.